Formerly a Manor Lake, this little gem was set up originally by Frank Hoskins, a keen fisherman, who knew what made for great fishing. 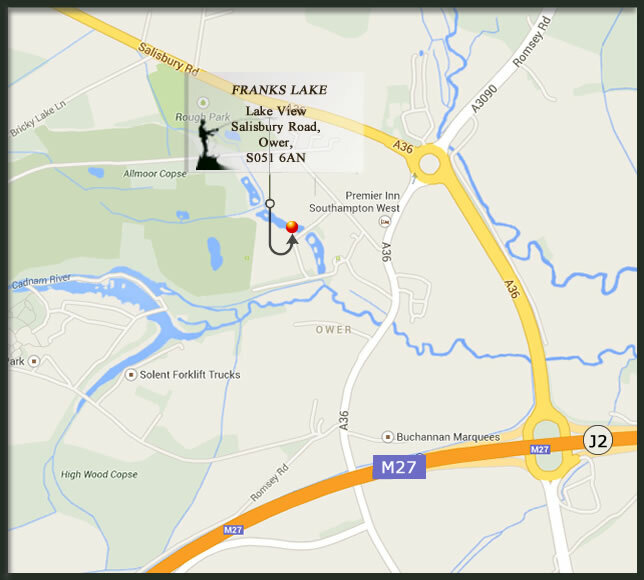 At 2.75 acres, the lake is the perfect place for a coarse fisherman looking for a secluded setting for a days fishing. Open from 8.am to 1 hour after sunset. Night fishing by arrangement only. Franks Lake is a Day Ticket Site. No Boiles, nuts, pulses, BBQs, dogs.